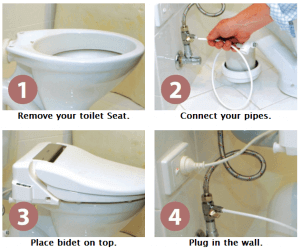 This is a simple guide of how to install your bidet. 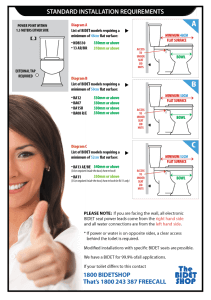 A more comrehensive installation guide is included with your bidet purchase. While you are installing you bidet, if you have any difficulty whatsosever, please call our 7-day-a-week helpline, and we would be only too happy to assist you with the installation. For additional information, please use one of the contact methods below. 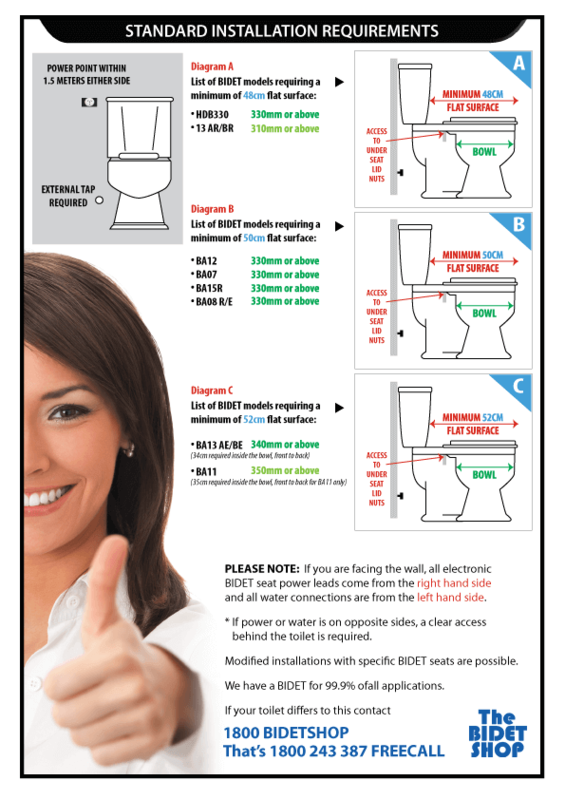 Please see the actual bidet page to ensure that the bidet you choose will fit your toilet. If you are not sure which one to start with, please contact me via the green chat link to the right or on Skype at no cost to you. Alternatively, you can call us on FREECALL 1800 BidetShop (That’s 1800 288 335).